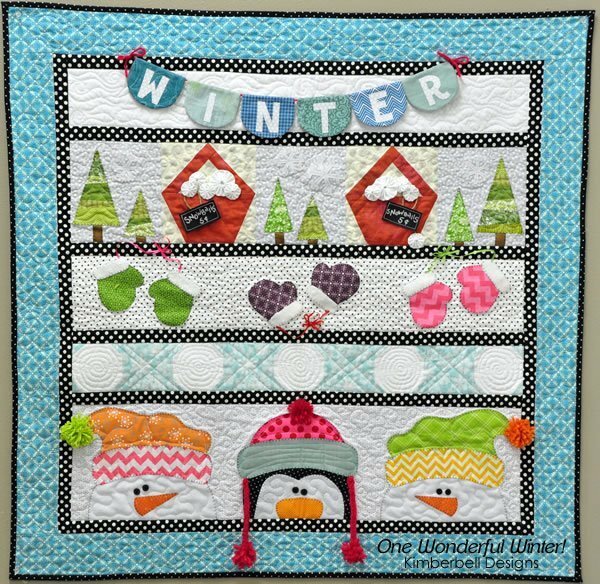 This wall hanging with snowmen, mittens, buckets of snowballs, pine trees, and dimensional embellishments will delight Video link is included on how to paper piece the buckets. Also good for a Block of the Month OR Week Program as it is divided into 5 parts making it quick and easy to put together as each part is printed on it's own page. Finished size 40" x 40"